TOKYO, Japan – “Back to normal” seems to be the mantra. The Tohoku earthquake on March 2011 the giant tsunami and the Fukushima nuclear catastrophe that followed crippled transportation networks and led to a spike in bicycle sales. Looking at the 2012 bicycle market statistics it seems that there has never been anything like that. According to the January to October figures at the time of writing the year 2012 is following a long period of decreasing and/or flat sales over the past years. The good news is: the home market pedelec production is still on the rise, although small. Compared with the huge competition of cheap cycles and pedelecs from neighboring China it is a success. The overall view on the January to October bicycle market statistics is dull. Production dropped – compared to the same period in the previous year – down 6.9% to 854,928 units and 5.4% in value. Bicycle imports decreased 9.7% down to 7.3 million units and 1.6 % in value. All in all total market delivery (alias shipment) from January to October 2012 reached 8.1 million units (-13.9 %). The ultimate majority share of Japan’s bicycle import is in the hands of China (96%). China invaded the market with the all-important cheap “light cycle” category – the Japanese version of the city bike sold by mass merchants at killer prices starting around JP¥7,000 (€61). However, Chinese imports decreased by 11% in 2012, while imports from other countries were all up by double digits, although volumes are still small. Many of these are international premium brands and therefore lift the average sales prices, as well as the quality of bicycles being sold in Japan. In 2012, Chinese-manufactured bicycles had the lowest average sales price in Japan at JP¥7,514 (€65.48), a decline of 4%. Japan’s second largest bicycle importer, Taiwan, reached an average sales price of JP¥31,928 (€278.33) – an increase of 18.9 %. 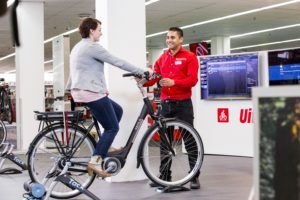 Other countries importing bicycles to Japan also saw their products go up in average price including the UK at JP¥63,264 (€551.50) an increase of 28%, Cambodia at JP¥20,556 (€179.24) an increase of 112%, the USA with an increase of 96.7 % to JP¥133,942 (€1,167.94) and finally ‘others’ at JP¥48,640 (€424.28) – with a 48.6 % rise. Note that the mentioned bicycles out of the UK can’t be all “UK Made” but are being shipped out of the UK. The rising imports out of Cambodia are also most interesting. Japan exported/donated 211,511 throwaway bicycles to this country in 2012, but is also importing more and more Cambodian bicycles. 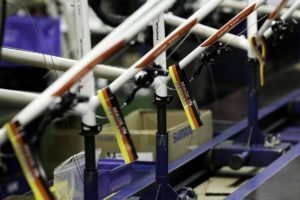 The rising bicycle production in Cambodia is in the hands of Taiwanese producers that once went to Vietnam as an alternative to China. Low labor costs have them now moving to Cambodia. The rising non-China imports is the result of a growing interest in sports bikes. More and more Japanese are keen on road and mountain bikes. Advanced riders are more willing to pay some extra yen for a high quality premium brand bicycle than any average Japanese urban short distance cyclist. The other good news is that the growth of the home market pedelec production is still on the rise. In the first half of 2012, made in Japan pedelec sales increased by 4.8 %, up to 227,018 units compared with the first half of the previous year. 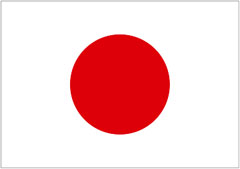 The average sales price remained at the same level of JP¥71,728 (€625.45) or -0.3 percent. Pedelecs being sold in Japan have nothing in common with the kinds being sold in Europe and the USA (Editor’s note: we talk about pedelecs-only because any other e-bikes are not sold in Japan). No doubt Nippon is a pedelec pioneer, but its producers are concentrating on their home market relying on the design and quality of their cheap light cycles with an e-motor. 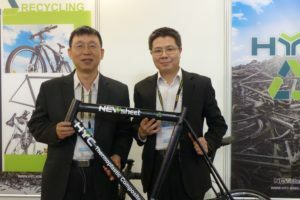 As a result, Nippon’s pedelec producers missed entering the international market with e-bike products adapted to western market demand, as they have done so successfully with other products. 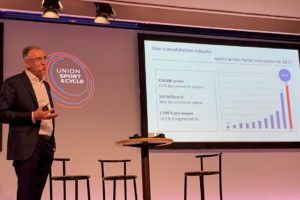 While Nippon’s e-bike kit makers are still serving the international market they are losing ground thanks to the lack of innovation. The bike manufacturers were never able to supply pedelec versions for the international market. Companies such as Yamaha or Panasonic/Sanyo tried but failed. 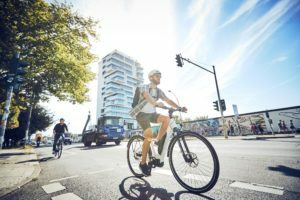 The growth of urban cycling, as seen right after the Fukushima disaster, seems to be more a question of infrastructure. As long as the packed cities on the East coast are unable to create additional space for bicycle lanes it will be difficult. In some downtown centers bicycles are even left out. While the cycling infrastructure outside the big urban metropolises is definitely improving, there is no space for any bicycle lanes in those crowded downtown areas. In these zones even bicycle parking has become a major problem.